And suddenly, the perpetual calendar by Patek Phillipe isn’t on the wrist quite as often. The ochs und junior has outstripped the delicate, elegant timepiece as an interesting everyday watch. Extremely comfortable to wear, easy to handle, encased in robust titanium or beautifully patinating silver, and intuitively readable, the functions of an ochs und junior are a daily joy. The perpetual calendar is a little more complicated to set via its corrections pushers and yet, it is supposed to be ready for the evening’s concert visit. So the question arises: which watch winder is the best? We have taken the liberty to make our choice without compromise – as we always do. There are too many winders that are supposed to wind your watch, but which we had to dispose of due to poor quality, grating noises, or reparation costs that would have come close the costs of a new watch. 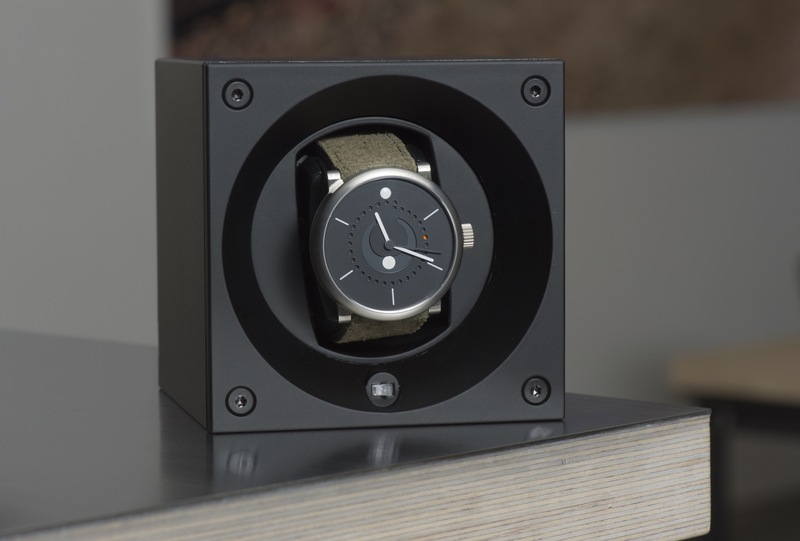 The one watch winder that does exactly what it promises, is called SwissKubik. This 10 x 10 cm cube is manufactured in Switzerland and feels correspondingly compact and robust. 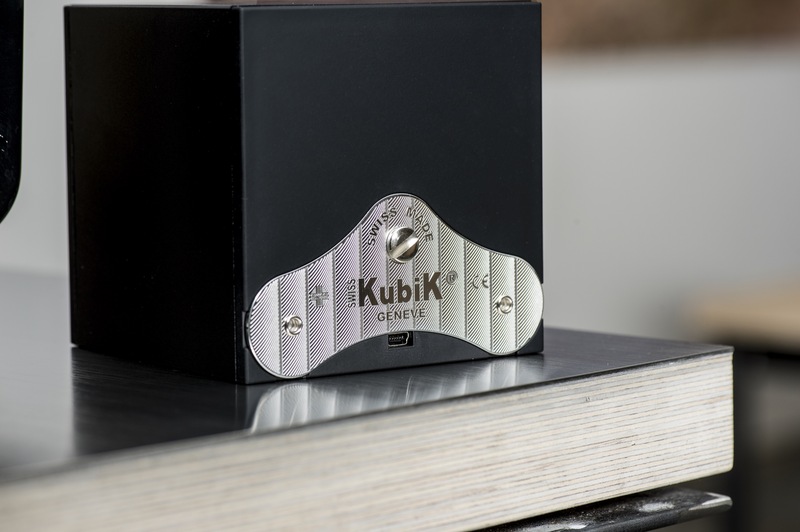 The SwissKubik Masterbox – a version made of black aluminum that we have in store here in Lucerne – runs completely silently. It is powered by an electric motor which is so efficient that the two easily changed batteries will last three to five years. Since it functions without the need of a cable, the SwissKubik and its valuable content can easily be stowed in a safe or another hiding place. And should the collection of watches grow, the cubes can be stacked – so perhaps the next watch will be directly accompanied by a SwissKubik? 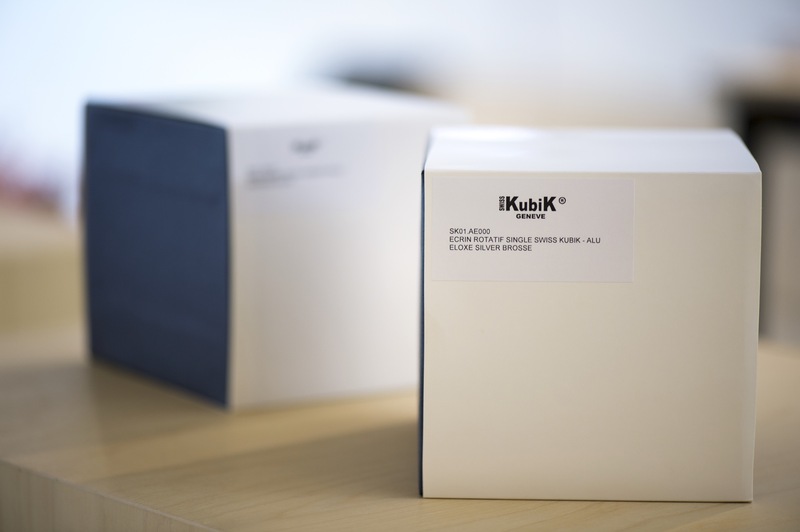 The SwissKubik Masterbox is, of course, also available for 2, 4, or 6 watches. The case materials are aluminum, leather, or wood. Upon request, we can have them ready here in Lucerne. We’ve heard from clients who keep the Ulysse Nardin astronomic trilogy by Ludwig Oechslin running on one of these – next to the ochs und junior moon phase. Or from others who own several ochs und junior watches and can switch between their personal executions of the annual calendar and the moon phase, since both are always ready to wear. The SwissKubik Masterbox watch winder, reference number SK01. AE001, in black aluminum costs CHF 695.- (incl. 7.7% VAT Switzerland) and is in stock in Lucerne. We are happy to order any of the other versions for you; usually they are delivered within 2 to 3 days.